As we speak, the entire buzz around the tech town is the latest release of the new Playstation 4 that was announced just a couple hours ago and I for one am psyched! Just to clarify that I am not exactly a console junkie but with the wedding and new place coming into the picture, I have been wanting to include the PS4 into the picture for the longest time. So right now, there is so many write up and questions being posted online which is rather confusing, especially for us here in Malaysia. What I am attempting to do is to compile EVERYTHING here in this post, and keep updating every information I can get into this post each day, according to the category that I have listed below, so keep an eye on this post! 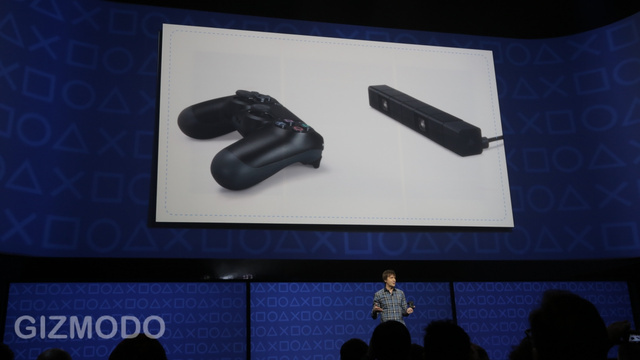 So far what we know, the Playstation 4 is the "uber console" for gaming as we know it. Reports have shown an x86 processor, an 8-core combined CPU/GPU, and 8 GB of unified GDDR5 memory (versus the PS3's 512 megabytes). In geeks terms, this console is faster, bigger and graphics wise will basically blow your brains out of the Kasbah. For us mere mortals, the Playstation 4 is a turbo charged console that is expected to have much faster responses for game time as well as another additional feature which I will mention below. One of the major improvements that Sony has made is the download/loading time for gameplay as well as processing for the console. With this kind of spec, the possiblity is endless. Perhaps HD gaming is on the way? 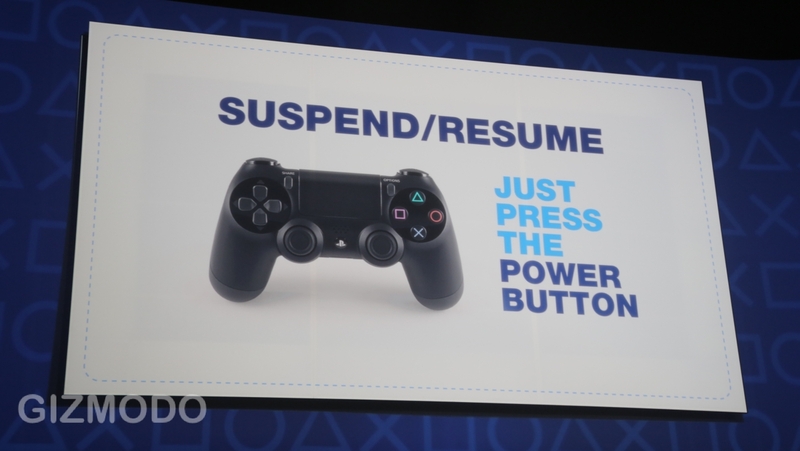 One of the biggest reveal for this launching was the controller. Even before, there has been leaks as to how this thing is going to work and now we have it. 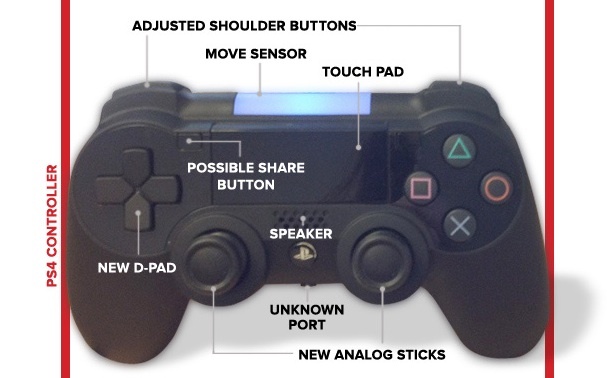 A quick look at the controller, one would be able to see that there has not been much changes from the design of the previous controller, except for a few key things. The controller will now share a central touch pad that would interact with the player, and rumor has it that it is also an integrated screen for gameplay (inventory for characters now appear on gamepad rather than the screen). Two new features that has been included with the console are the motion tracking device that is available on the controller. 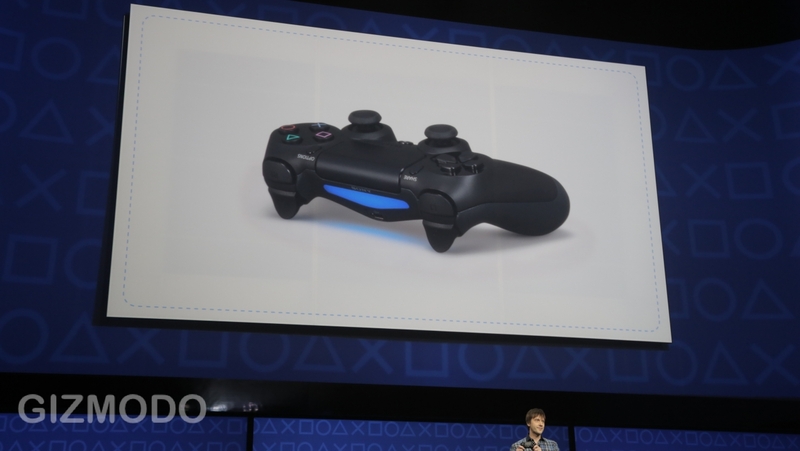 Similar to the PS Glowstick they had before but now all included within one controller. Another is the "share feature" which is where players are able to share their gameplay instantly to either social network platforms or even other players in the network. This would mean that a scenario, where you get stuck in a section of a game, you can easily share that to your Playstation network and either discuss with people or even let people play for you while you watch! One really impressive feature that they have included is the instant "on/off" feature for the console. This is where it gets a little annoying. Throughout the entire reveal, there were no indications AT ALL as how this thing is going to look like and believe me when you are up at 3 in the morning to watch the unveiling, it really is that annoying. But so far we have seen a few concept suggestions that people have posted up and I think it can be around that kind of design.. I'm going to leave this part to rest for a while and update when I find more! Because of their uber specs on hardware, this would actually give room to SO MUCH improvements as to how we would get from game titles in the future. 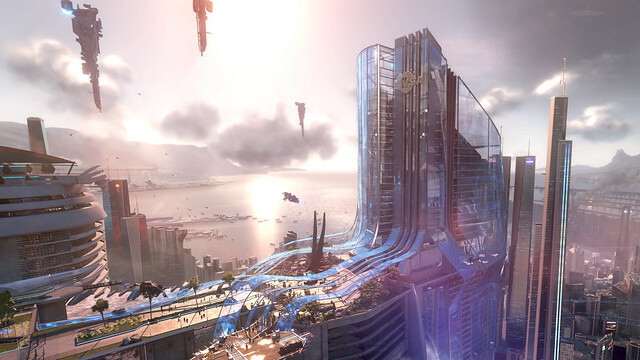 Just like their PC counterpart, the design, gameplay, experience and overall function of the games will be improved dramatically. I think the theme here with all the game developers is "next generation gaming experience". So far Ubisoft, Square Enix, Bondi (the people who made LA Noire), Blizzard, Bungie and Activision have entered into a specific partnership to develop games that will fully utilize the capability of Playstation 4 to its fullest. 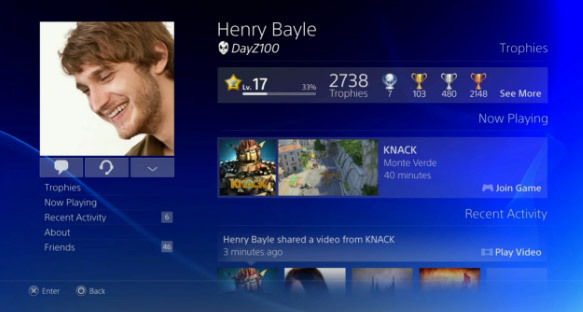 Playstation Cloud will not only be a hub for your network but also a place where you can download your games into the console WHILE playing your current game. As mentioned above, this would be the portal where your friends would be able to "spectate" your game play and in the same time, a place where you could download your games, including the older titles from Playstation 3. Not exactly something new from the Playstation world but the newest one would fully push the limits of its inclusion of social network on your gaming. Playstation 4 looks to fully integrate itself with almost all major social network platforms which gives you the opportunity to share your games through Facebook, Twitter, etc. and in the same time gives better connectivity for your gaming experience. On top of that, streaming functions are now made available on the Playstation which means that watching TV or even downloading your favorite episodes on the console is now possible, on top of using the platform as a home entertainment unit just like its predecessor. Another annoying part of the launching is that they were EXTREMELY vague for this information. However, my research may have indicated that the release date for the Playstation 4 could be within November 2013. Pricing wise we would be seeing the units to be shipped out to between USD429 to USD529 depending on which unit you choose. If we were to base on the trend that Sony would usually do with their console, I would expect the release date for Playstation 4 in Malaysia to be somewhere around March 2014 (assuming this is for the NTSC-J version). Pricing wise I believe it should be almost similar to how much they were charging for the Playstation 3, ranging between RM 1500 to RM1900 per unit. So in a nutshell, I am excited to see this coming into our shores soon. Of course there are still more stories to tell about this launching so I will keep the updates as frequent as possible for any new news in regards of the unit so keep your eyes peeled for any new updates here!